it’s really hard to keep a large, soft and fluffy carpet clean. What would be the most effective way to have clean carpets and help them stay good for a long? Crystal Carpet Cleaning is a company that works in cleaning field for a long time, particularly in Washington Area. This company has proven itself as a fair and convenient partner, who offers the best quality of services at affordable prices and does its job well. 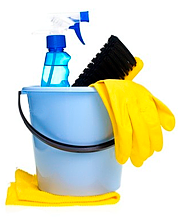 With a team of professional cleaners and most innovative and efficient programs of cleaning, Crystal Cleaning Company is the best option in house cleaning service and housekeeping, available for Washington Area residents. cleaning, we also help you keeping your carpets free of dust and dirt, insects and any other constant problems. It’s very important to clean your carpets regularly, and Crystal House Cleaning Company is there, to help you stay healthy and comfortable within your house. We guarantee 100% satisfaction regardless of the kind of problem you’ve faces with your carpets. We have a team of professional cleaners, who’re eager to help you with the thing they love most and do best: our residential maid carpets cleaning. They are armed with the most innovative and effective methods and means of cleaning, which are health and nature friendly. Once you need a professional, fast and neat carpets cleaning, the best option for you will be contacting Crystal House Cleaning operators, ordering our convenient and affordable deep carpet cleaning service!